We are proud to announce that Innopharma College of Applied Sciences are returning to Jobs Expo and exhibiting at our Cork event on 16 November. Innopharma College of Applied Sciences is an award winning global institute dedicated to applied sciences. The college offers industry-led technology, education and training programmes in the pharmaceutical, medtech and food industries. Innopharma College of Applied Sciences offers world-recognised qualifications up to Masters’ degree level in the pharmaceutical, medtech and food sectors. The college offers the highest quality facilities. In addition, they have developed strategic collaborations with a number of Ireland’s most established higher-level education institutions. 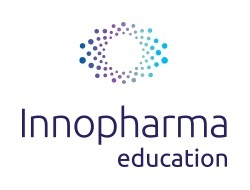 Innopharma offers a number of courses on their campus in Sandyford in Dublin. Others courses are run in conjunction with the Institute of Technology Tallaght (ITT) or Griffith College in Dublin, in addition to strategic locations throughout Ireland. Finally, the College runs a selection of online courses too. Innopharma College of Applied Sciences offers an education team with extensive industry experience. Many lecturers have held senior management positions with blue chip multinational companies. As a result, the college has an extensive network of contacts to connect students with industry and academia. They also have an exceptional reputation for post-graduate employment. Over 70 percent of their graduates gained employment or advanced further their careers within 6 months of graduating from an Innopharma course.